The time-honored Stressless design gets updated with modern features to give you this extremely comfortable medium signature reclining chair and ottoman. As ergonomics go, this piece includes the patented Plus-system, as well as the LegComfort™-system, which provides a hidden footrest under the seat. Furthermore, this chair is available in a variety of fabrics and leathers, as well as several different wood base finishes, so finding that look to fit your personal style will be a breeze. 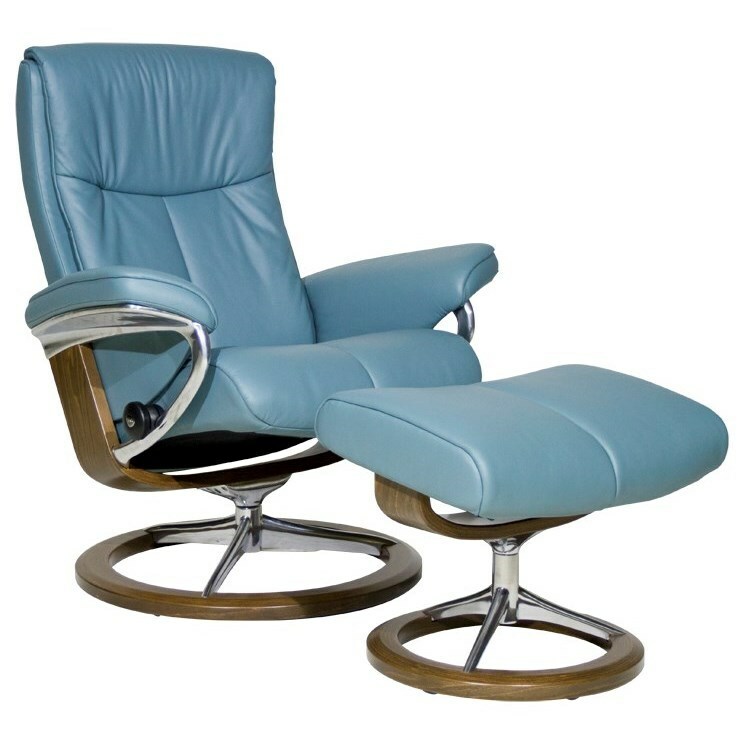 The Peace Medium Stressless Chair & Ottoman by Stressless at HomeWorld Furniture in the Hawaii, Oahu, Hilo, Kona, Maui area. Product availability may vary. Contact us for the most current availability on this product.